Influenza, commonly known as “the flu”, is an infectious disease caused by an influenza virus that is spread by droplet transmission through the air from coughs and sneezes or by touching surfaces contaminated with the virus. Symptoms can be mild to severe with the most common including a high fever, runny nose, sore throat, muscle pains, headache, coughing, and feeling tired. These symptoms typically begin two days after exposure to the virus and most last less than a week. More severe complications of influenza include viral pneumonia, secondary bacterial pneumonia, sinus infection, and exacerbation of previous health problems such as asthma or heart failure; these severe complications can lead to hospitalization and death. The currently approved and marketed influenza vaccines are moderately effective against three or four strains of influenza. 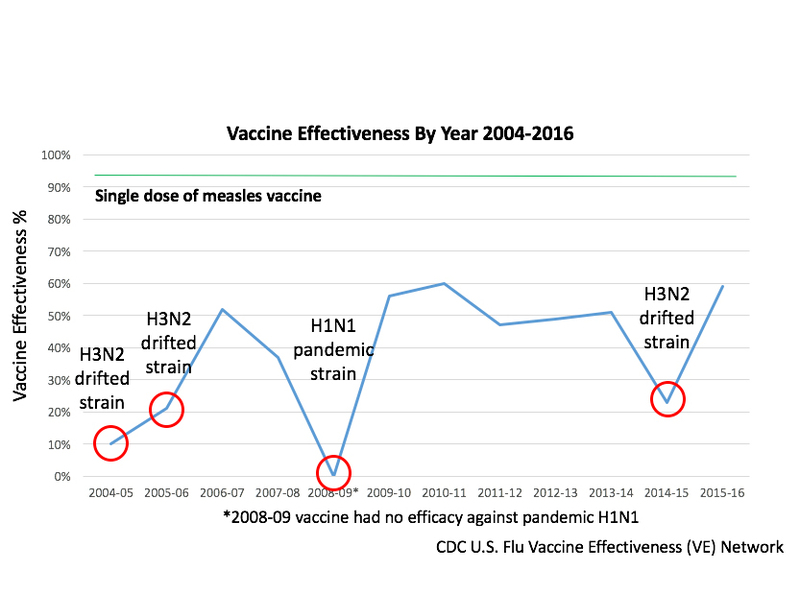 Recent evaluations conducted by a US government-supported network of large clinics (US Flu-VE Network), have demonstrated an overall vaccine effectiveness (VE) of only 60% (95% CI, 53-66), even in years in which there was a good match between vaccine and circulating strains. This is in contrast to other commonly used vaccines, such as measles vaccine that show 93% protection after a single dose. In addition a vaccine made for one year may not be useful in the following year, since the virus evolves rapidly. Influenza spreads around the world in a yearly outbreak, resulting in about three to five million cases of severe illness and about 250,000 to 500,000 deaths worldwide. In the Northern and Southern parts of the world outbreaks occur mainly in winter while in areas around the equator outbreaks may occur at any time of the year. Death occurs mostly in the young, the old and those with other health problems. Larger outbreaks known as pandemics are less frequent. In the 20th century three influenza pandemics occurred: Spanish influenza in 1918, Asian influenza in 1958, and Hong Kong influenza in 1968, each resulting in more than a million deaths. 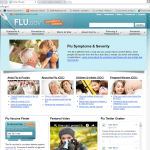 The World Health Organization declared an outbreak of a new type of influenza A/H1N1 to be a pandemic in June 2009. Like other serious viruses and diseases, our best defense against influenza is to develop an effective vaccine that maximizes the body’s ability to recognize, attack and destroy the invading flu strains. This is no easy task, as each year the influenza virus changes and influenza has the ability to mutate, even between species. Traditionally, manufacturers have had to make informed “guesses” about which strains might be the current season’s threat and prepare vaccines accordingly. Often they perform well, but when they don’t –or when they have limited efficacy — many are at risk. FluGen is working hard to create a better, more effective influenza vaccine. We believe that we’re on the path to create a “universal” vaccine, one that shows increased efficacy and cross protection against multiple flu strains. FluGen is working hard to create a better, more effective influenza vaccine, one that engages the body differently and therefore provokes a better immunity response. We believe that we’re on the path to create a “universal” vaccine, one that shows increased efficacy and cross protection against multiple flu strains. 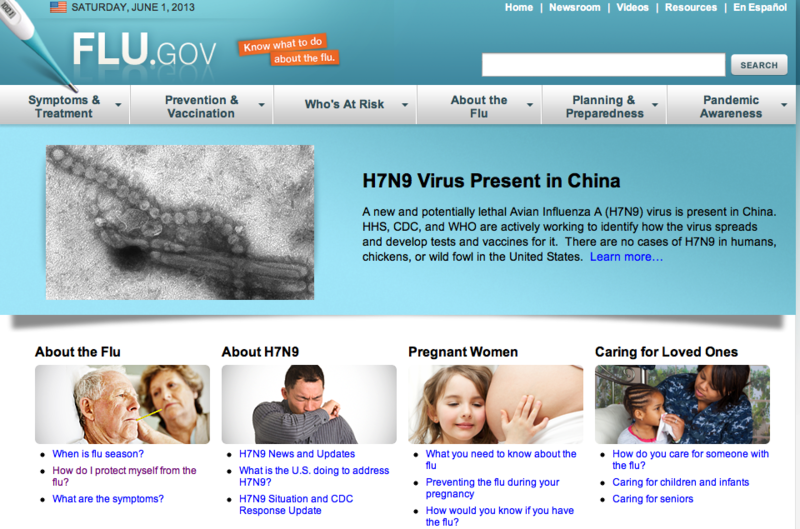 Information about influenza in the U.S. can be found at www.cdc.gov/flu just before the International information line.